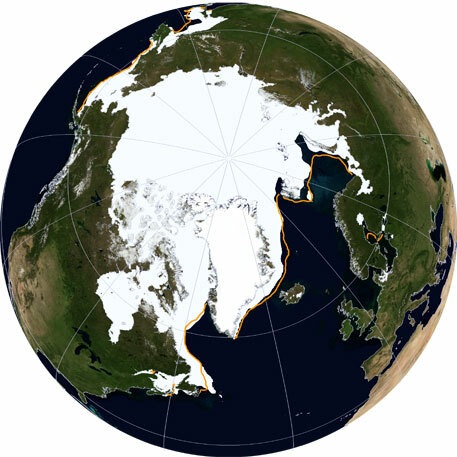 The length of the melt season for Arctic sea ice is growing by several days each decade, says a new study by National Snow and Ice Data Center (NSIDC) of the US and NASA researchers. The report, recently published in Geophysical Research Letters, also says that an earlier start to the melt season is allowing the Arctic Ocean to absorb enough additional solar radiation in some places to melt as much as four feet of the Arctic ice cap’s thickness. “The Arctic is warming and this is causing the melt season to last longer," said Julienne Stroeve, senior scientist at NSIDC, Boulder and lead author of the new study, which has been accepted for publication in Geophysical Research Letters. The study also says that the sea ice cover is shrinking and thinning, making scientists think an ice-free Arctic Ocean during the summer might be reached this century. The report that says that summer ice extent remains hard to predict has advocated a growing need for reliable sea ice predictions. Can regional climate engineering save the summer Arctic sea ice?